Drying fruits is a wonderful hobby and it is also a great way to make delicious and nutritious snacks in the comfort of your own home. 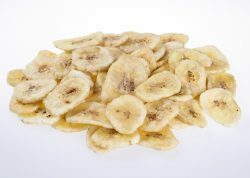 There is a wide range of dehydrators that are ideal for drying fruits of all kinds and today we are going to take a look at some of the fruit dehydrators in the market that you can choose from. Here is the thing about fruit dehydrators, you need to keep in mind that fruits dry at varying temperatures and for varying times. So, you should choose a dehydrator with a timer as well as a thermostat so that you can dehydrate food according to the recipe you want to follow. Also, if you’re drying fruits, you should also check if there are compatible accessories available for making fruit leather and fruit rollups.